Our Norwich show saw our troupe meet a very strong little boy called Denver. Denver loved super heroes and Power Rangers. He would light up any room he walked into with his Mum describing him as having a smile that would melt your heart. He came to Circus Starr aged four with a diagnosis of Neuroblastoma, a type of children’s cancer that is rare but aggressive. 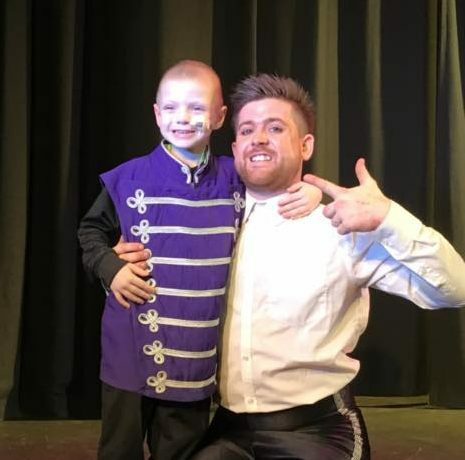 Denver’s visit to our show was a chance for him to escape into our magical world whilst giving his Mum, Wanda, the opportunity to make precious memories that she could cherish. She told us that they really enjoyed the performance as it made them feel ‘relaxed and laugh’. Denver’s favourite part of the show was when our clown Bippo joked with his friend Daniel in the audience. His Mum remembers that he hugged Daniel, and told him he did a ‘great job’. After the show Denver stayed to meet Bippo and our Ringmaster, Joel. He even got to try on Joel’s jacket which Wanda said he enjoyed as it ‘made him feel important’. Heartbreakingly, Denver lost his battle against cancer weeks after visiting our show. We feel privileged to have met such a brave boy and thank Wanda for letting us share their story. Circus Starr are so proud to offer such a unique experience that allows families to create valuable memories before it is too late. To find out how you can help children like Denver click here or call 01260 288690.